Indio, CA – In true YG fashion, the Compton-bred artist turned his Coachella set into Boachella Sunday (April 14). 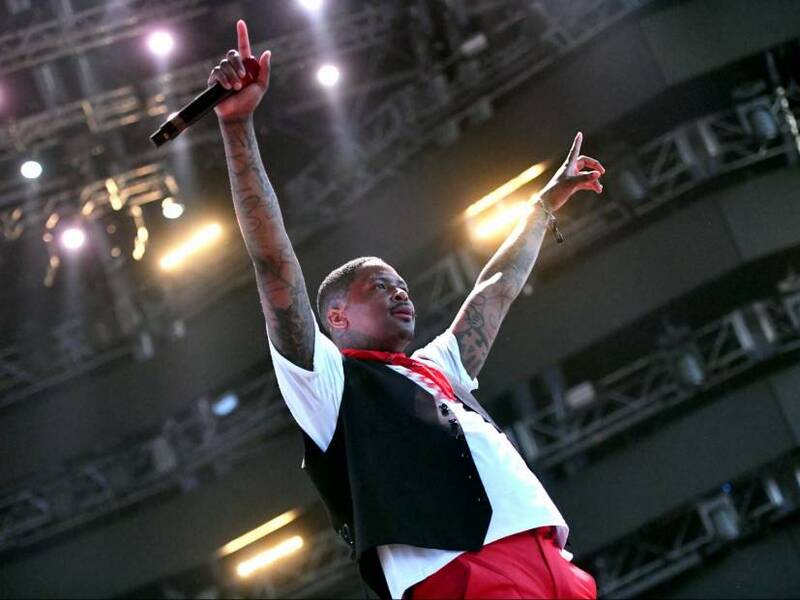 As a wholesome gesture, YG empathetically dedicated his entire set to the late Nipsey Hussle. He praised him as the “Black Jesus” and encouraged Coachella’s massive crowd to join him in a moment of silence to honor his close friend. The Still Dangerous rap star also told festivalgoers he previously planned to drop his forthcoming project as a surprise album earlier in April. Instead, he chose to push the original release date back so he could mourn and celebrate the life and legacy of Nipsey. The album now has an expected release date of May 3. Right after his announcement, YG performed a new song for the crowd titled “Stop Snitchin.” The track seems to be aimed at Tekashi 6ix9ine for ratting out his Nine Trey Gangster Bloods associates in his ongoing RICO case. The controversial rapper agreed to exchange information on his former cohorts in exchange for less prison time, and it seems he and his lawyers have a plan to make it happen. In total, five of his Nine Trey Gangster Blood associates have pleaded not guilty. YG projected a huge picture of Tekashi’s mug shot on the jumbotron along with a red, “stop snitching” sign. Press play to watch YG pay tribute to Nipsey Hussle and perform “Stop Snitchin” up top.